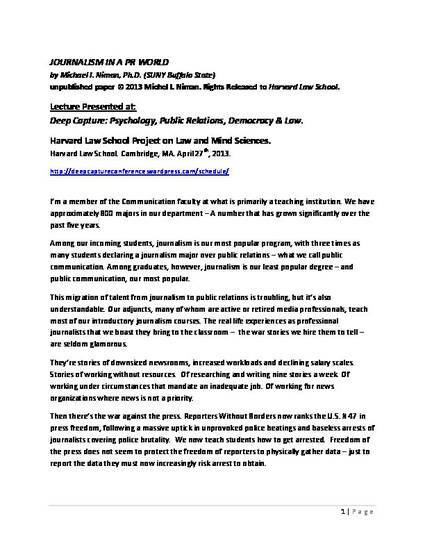 "Journalism in a PR World" by Michael I Niman, Ph.D.
unpublished presentation transcript. (c) 2013 Michael I. Niman. Rights released to Harvard Law School.